I have been very upfront in saying that I LOVE Notoriously Morbid Coffin Kissers. FOOL that I was, when I was browsing the Notoriously Morbid website for the first time I sidled over to their lip products page and positively scoffed when I saw that the only thing there was a lip balm. A lip balm, barely makeup at best, no coloring, why bother? EXCEPT NO. I have really dry lips. I drink a lot of water. I moisturize within a sometimes overly complex, but exceedingly gentle-for-sensitive-skin skincare routine. I put sunscreen on my lips, for crying out loud. But most lip balms dry out my lips and accentuate their general desert-y-ness. Not so with Coffin Kissers. I added it to my order last minute, put it on my lips when it arrived, and it was love-at-first-mouth-to-balm. Imagine then, dear reader, my excitement when I opened up my Notoriously Morbid Vanishing Cabinet of the month to find A COFFIN KISSER LIP TINT. BEHOLD. 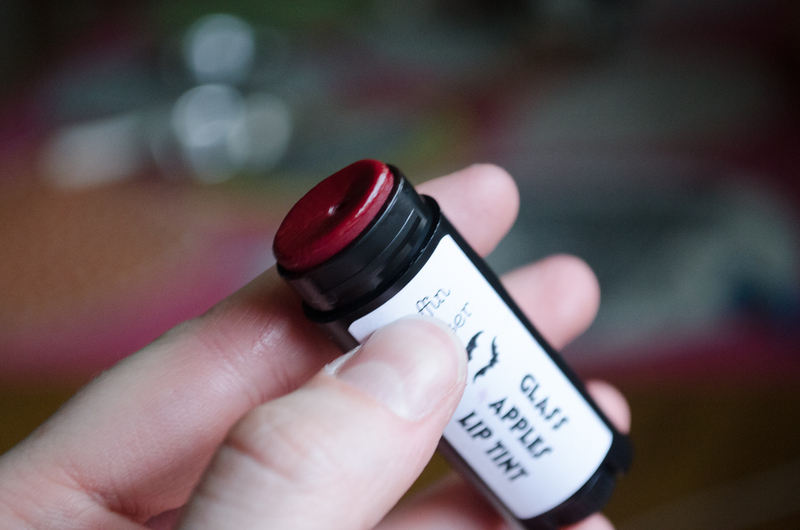 Glass Apples, “[Notoriously Morbid]’s first released lip tint. It is one of Carrie’s favorite products to date,” (according to the little note in my package). This marries my favorite lip balm with color, in what I find to be a very dashing sort of way. The formula is, as far as I can tell, basically the same (at least it feels the same on the lips). It’s very smooth and glides on easily. The color looks quite dark in the tube, but at least on me applies as perhaps a sort of delicious berry color. It is a bit apple scented. I do think the apple scent has a distinctly artificial edge, maybe almost a soapiness to the apple scent, but I don’t find it unpleasant. My hubby kissed me and told me it tasted delicious, so you also have that to go on. 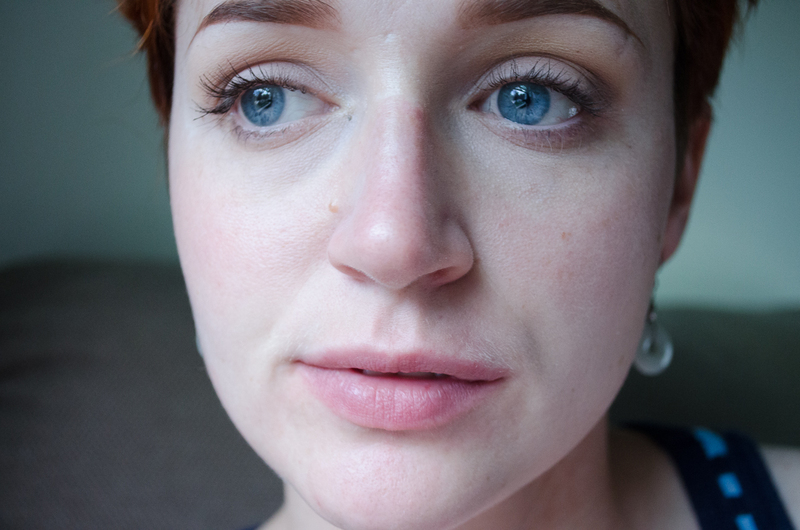 The color is sheer, as you would expect from a tinted balm. I think it’s totally wearable during every day life. 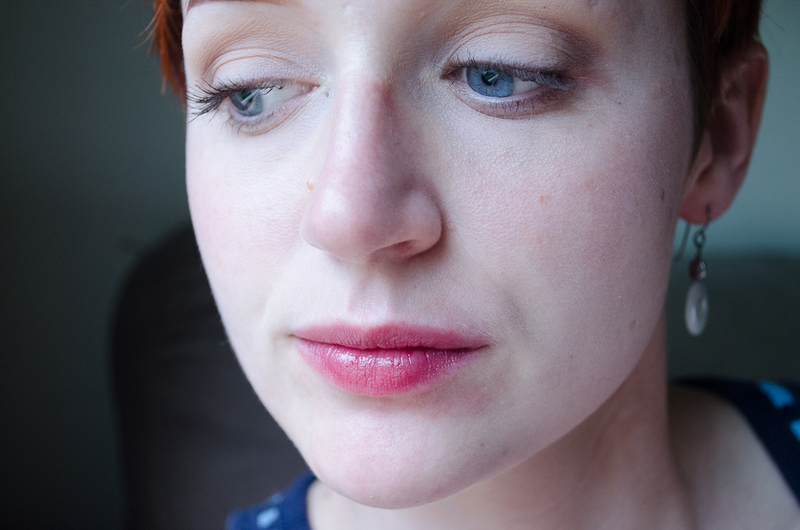 You’re not really going to get defined edges with a sheer tinted lip balm like this (well, maybe SOME people will, but I lack that sort of skill), but I think this balm is perfect for amping up an otherwise natural looking bare lip without sculpting it out with lipstick. (Because what you needed was an even CLOSER view of that). Notoriously Morbid Lip Tints aren’t available on the website, but I sincerely hope that they will be, because I want MORE of these beauties! In the mean time, I will cherish my little tube. I can’t rave enough about how wonderful it feels on the lips, and I think the color is entirely lovely without being too under or overstated. I’m typing this all out just slightly after I opened the package, found it, and tested it, so perhaps I am still riding the high of my excitement of finding it in there, but if Notoriously Morbid makes lip tints more readily available on their website, YOU SHOULD TRY THEM. I’ll maintain that to my (notoriously morbid) grave. I’m all for opaque IN YO FACE lipsticks, but these look lovely. I really like tinty lip balms like this! Thanks for doing the review, I was hoping to find some face/lip swatches. What a great resource your blog is. I’m all for crazy opaque stuff too (like Life’s Entropy lip theories… holy pigmented batman!) 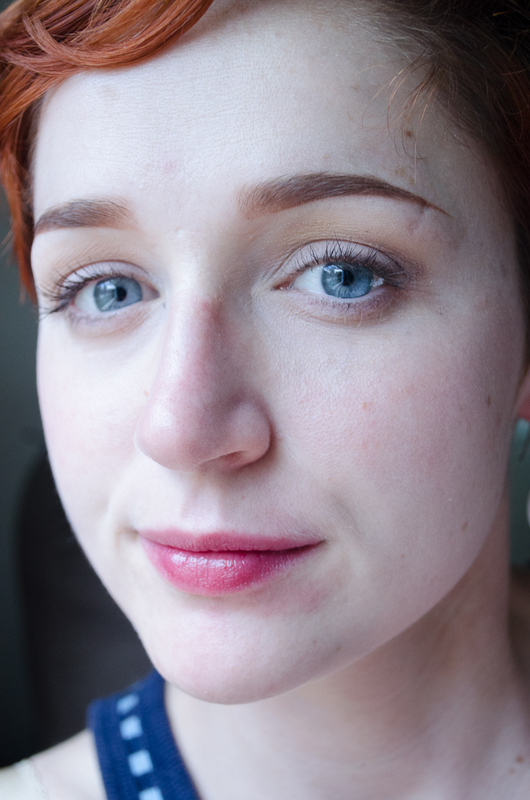 but agree with you, I think sometimes just a light tint is SUPER lovely 🙂 So glad to hear this is a good resource for you, please let me know if there is anything you are looking for specifically!